Assortment collection of 16 vintage films. 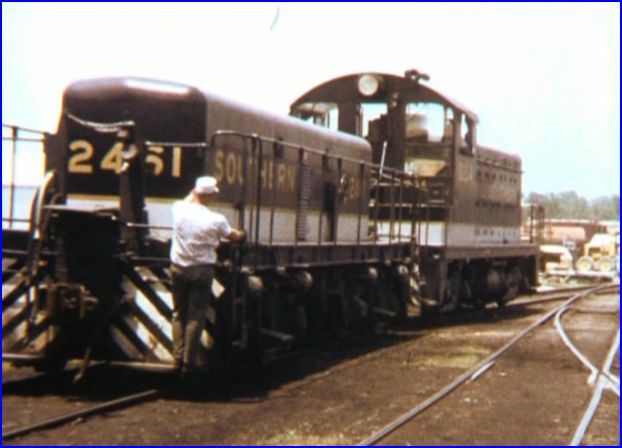 Sometimes these shorts, feature Southern Railway. Additional films are included. The US Navy has some on diesel motors. One by Electromotive of LaGrange. Great Northern, Norfolk & Western, plus Southern Pacific. They are varied in content. Most are based on railroad subjects. The naval films are a stretch. 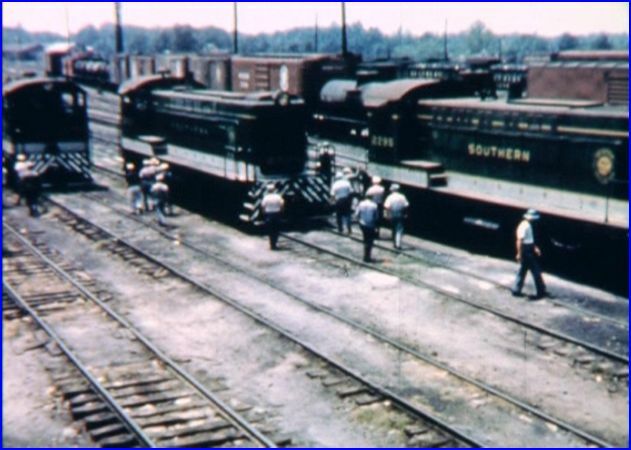 Southern Railway Historical Society has assembled this collection. Green Frog is the producer. They have transferred the films to 1080HD. Widescreen and 4×3 formats. A side benefit to see, are the time periods. Vintage truck fans will find numerous examples. Anyone who has ever been around a freight facility will notice all the handwork and lack of shrinkwrap. Realize, that a transfer is not a restoration. These films were all professionally produced. They do have some color issues, like any unrestored film stock. The balance can be off or there can be fading. Lucky for us, the assorted short shows were pro shot on 16mm film. Audio is clear and that has good balance. Narratives are well written. Acting and some voiceovers, are often not Hollywood.They do convey the information. For the review, a selection of highlighted films will be the focus. Some have a higher interest level, and your mileage may vary. The United States Navy films, are all black and white. Found these as unnecessary. Who cares about cylinder replacement and the like anyway? It plays like time filler. 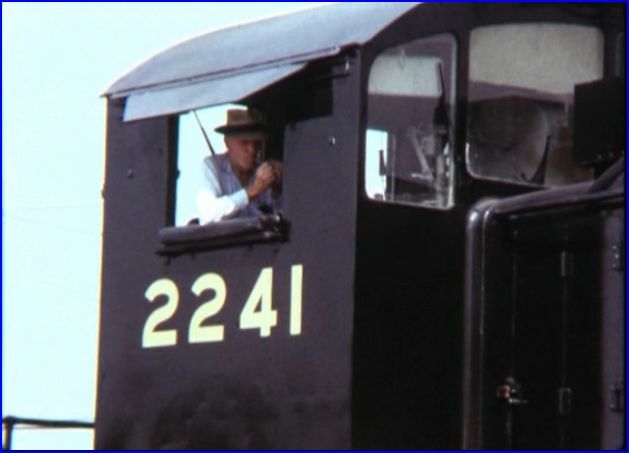 There is still a healthy amount of railroad material to watch. This release is spread across a 4 DVD set. It is nicely packaged in a secure clamshell case. 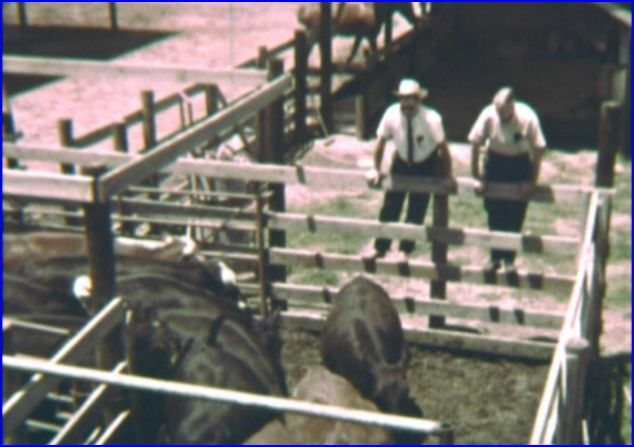 Learn the history of the meat industry, down South. Interesting account of the Agri-business . 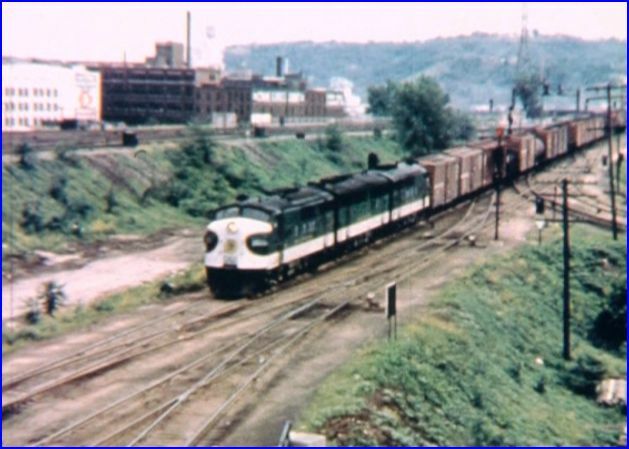 Very little railroad footage. Follow the Agri-Bus and see where they travel. 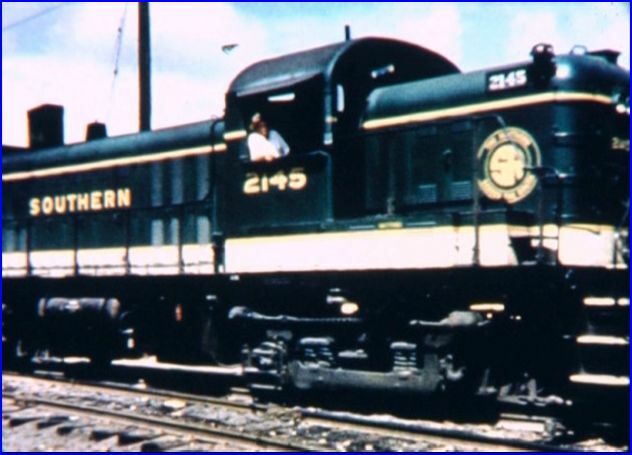 Great Northern produced, during the Big Sky Blue era. 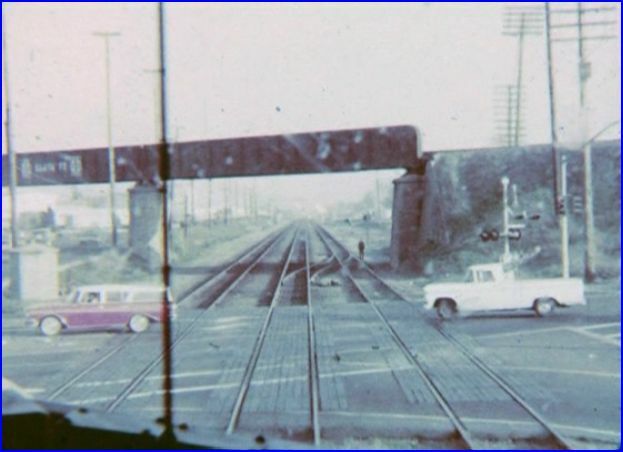 Grade crossing safety. Apparently, Southern was showing this one to it’s own people too. Southern’s facility is seen in detail. More then you ever need to know, regarding coupler refurbishment. This looks and feels old. Technical aspects of electrical flashovers. Motor centered. Produced by EMD. No, you do not see the plant, or much else. 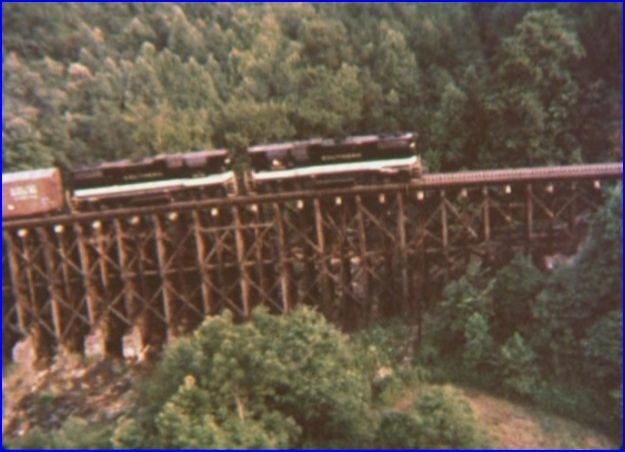 One Santa Fe passenger train shown at the end. Notable, as this is at nearby McCook Crossing on ATSF. Caldwell Westinghouse advertisement for an advanced braking system. They probably turned off buyers by showing all the added equipment. Family lake outing turns into a discussion of Southern! This shows a selection of modern equipment. 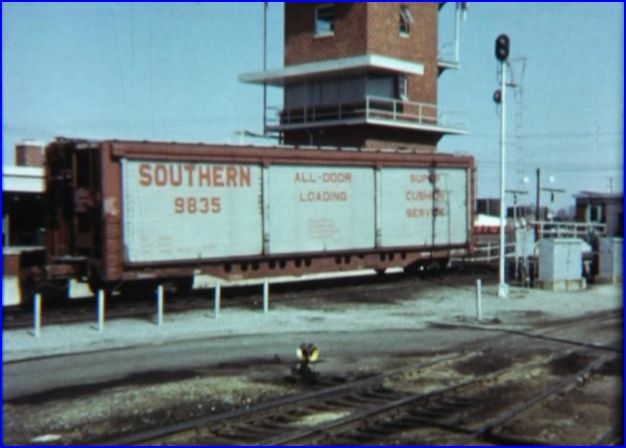 Big John hoppers, All Door cars, Big Boy Tobacco Boxcars and Auto Bilevel. Section on the new cushion underframes. 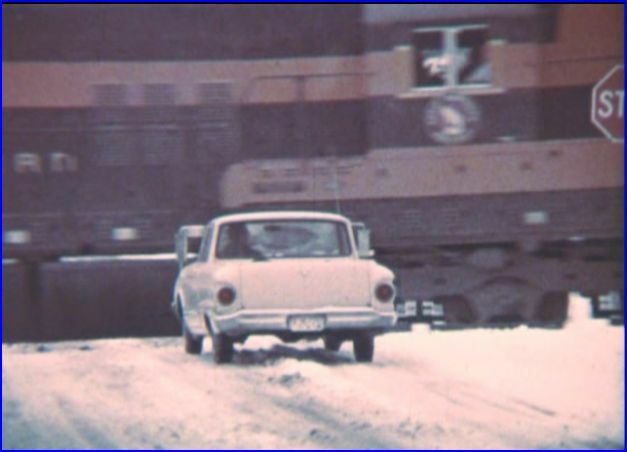 See vintage diesels at work. Good show. This shows the plight of a Traffic Manager with company trucks. Enter Southern’s service! Vintage trucks are here. 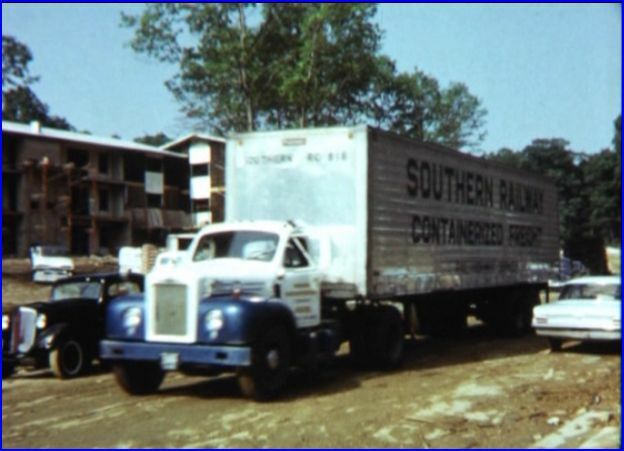 See early 1960’s Southern Containerized Freight Service. Plenty of action. Piggyback and container transloading. One of the best in the set. US Navy training films from 1945. EMD12-567 motors for LST units. 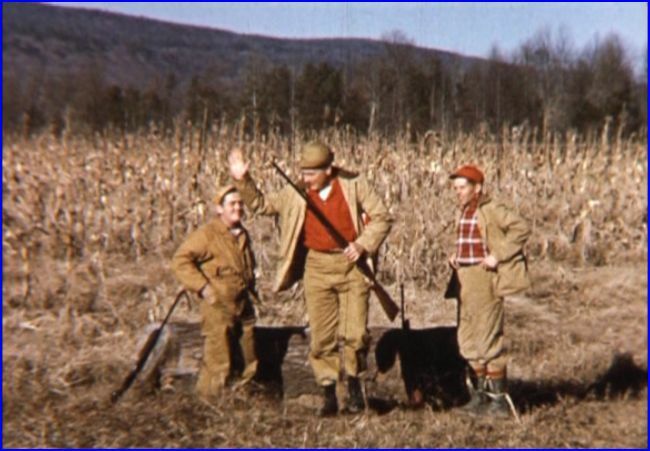 Three hunters discuss freight damage. Plenty of classic freight cars to see. 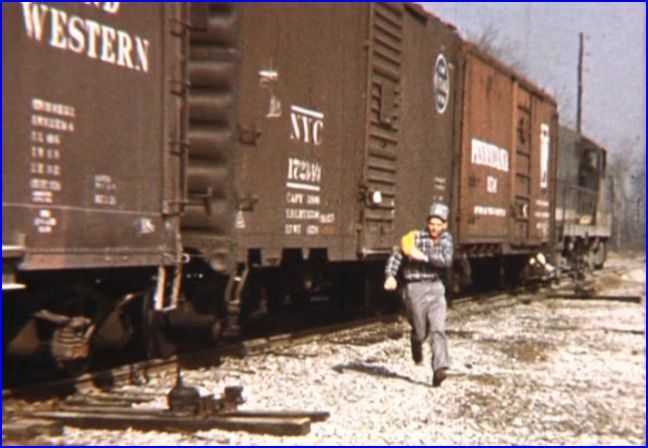 Boxcar interiors, loading facilities, and no palletization. GE refrigerator plant, Aluminum factory. 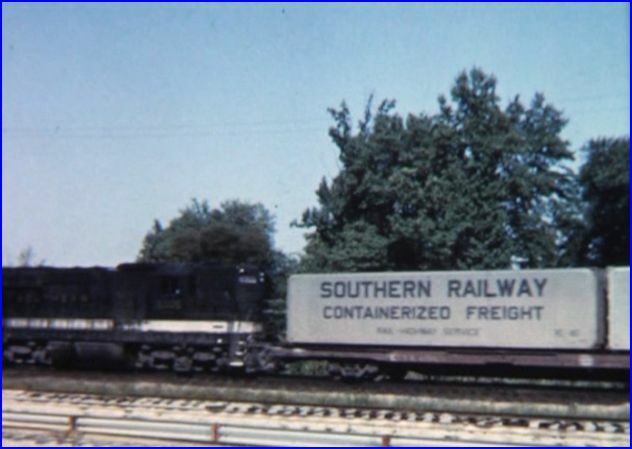 Produced by Southern. Operating Vice President plays Mr. Shipper. A good old show. Never have found anything related to rail captivating. Even more 1945 naval engine maintenance. Time period is the 1970’s. Train 154 to Atlanta and Port of Savannah. Aerial views of trains. Cab ride sequence. Nice runbys. Rotary coal dump. Linwood hump yard. Tower and office interiors. Excellent time capsule. Army veteran Joe can’t get rehired by Southern. The reason? Too many expensive claims. 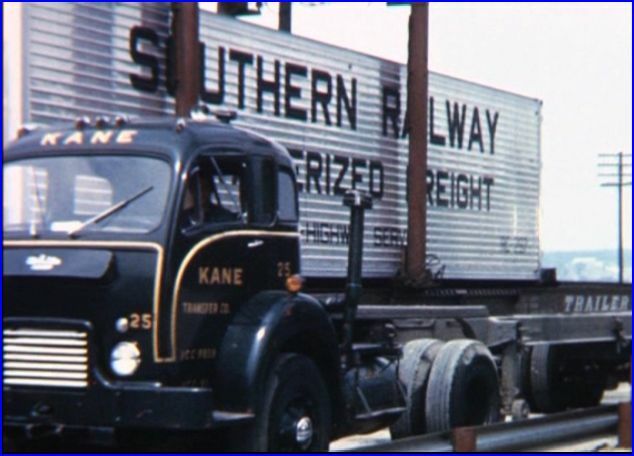 Great shots of classic Southern. Music by The Almond Hillbillies. This is the one most remembered by the employees. Plenty of train scenes. Norfolk & Western 1981. Appalachian coal, from mine to port. Little is seen of the railroad. It does cover the coal transport to the ship very well.. The safety film has faded on the outdoor footage. SP Safety Department has a better then average cross safely show. Check the Matchbox cars and HO trains. 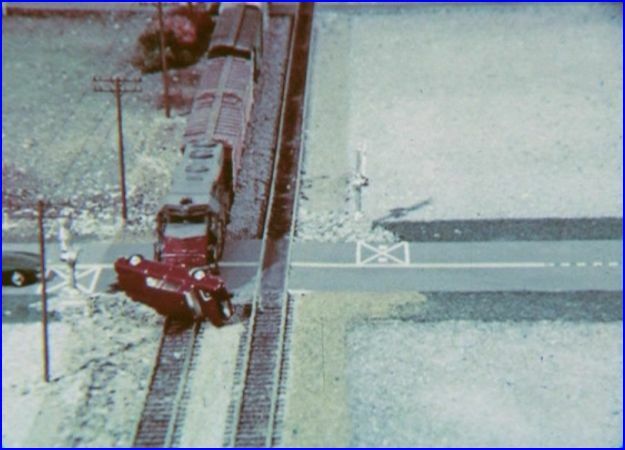 A unique method to demonstrate scenarios around grade crossings. US Navy 1943 training film. Fairbanks Morse opposed piston engines were desirable for marine applications. Two stroke motors here. All of these mechanical shorts should have occupied a single disc. They do belong together. 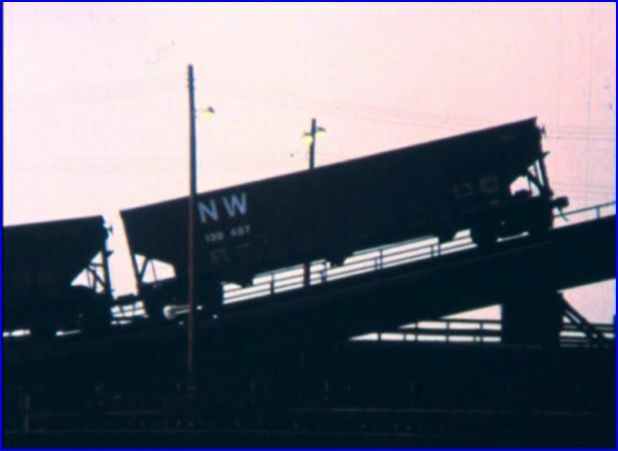 This collection is good for those looking for subjects, that are only briefly seen in train videos. Some of these films are interesting to watch. Others are one timers. Couldn’t sit through the old black and white engine training films. Overall, this collection does have some worthwhile short features. Recommended for those shows as mentioned. This entry was posted in ATVR Reviews, Green Frog Prod. 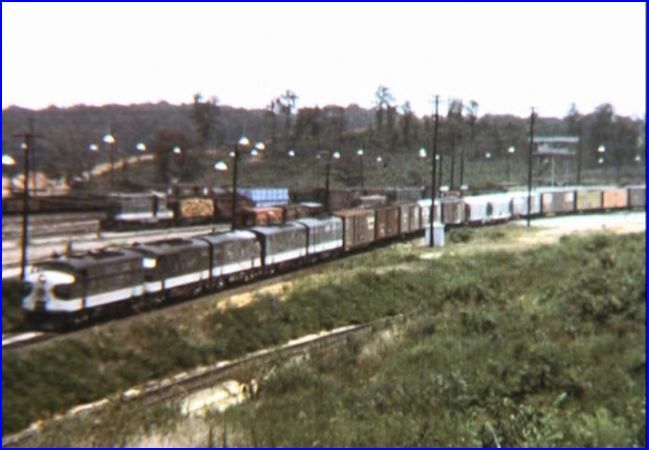 and tagged American Train Video Reviews, new releases, Norfolk & Western, Norfolk Southern, Railroad, Train DVD, train video reviews, transportation by William J. Hudson. Bookmark the permalink.